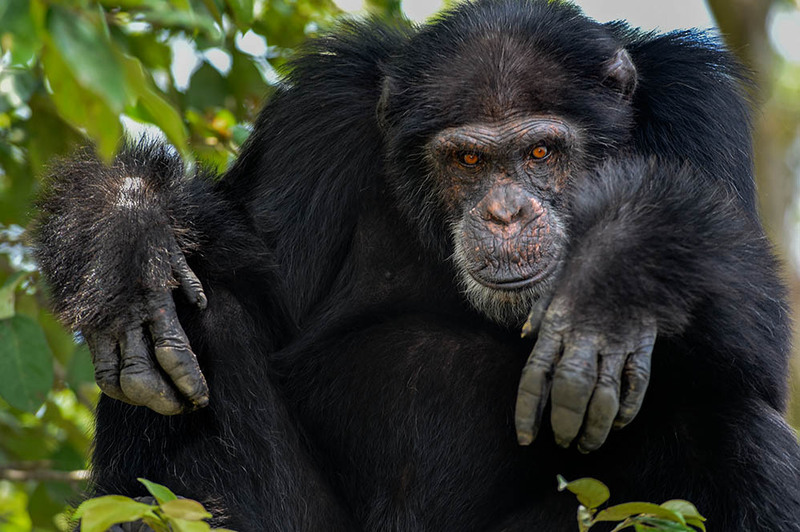 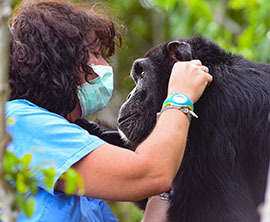 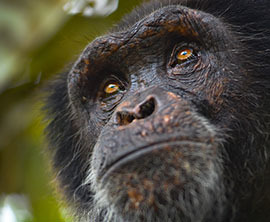 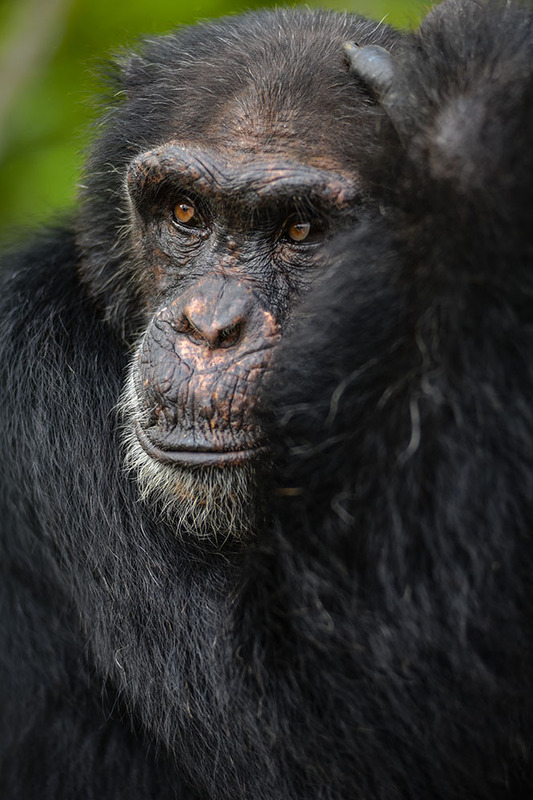 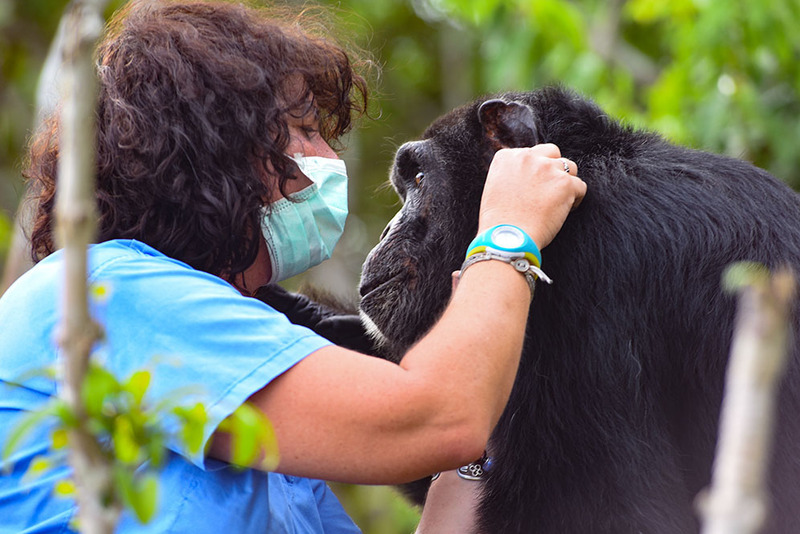 Ponso is a 40+ year old male chimpanzee. 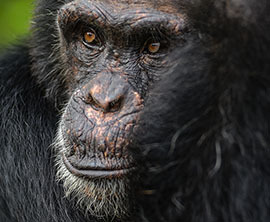 He was born in Liberia. 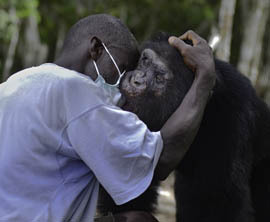 He was orphaned at a young age and used in viral research. 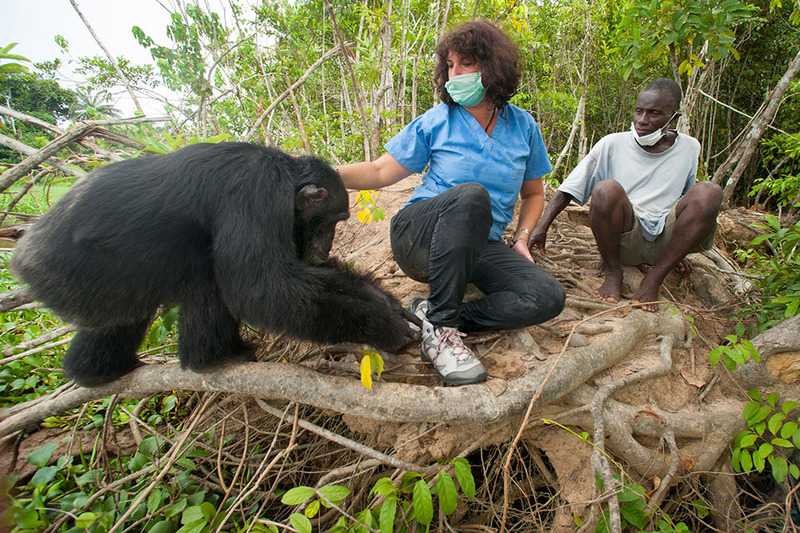 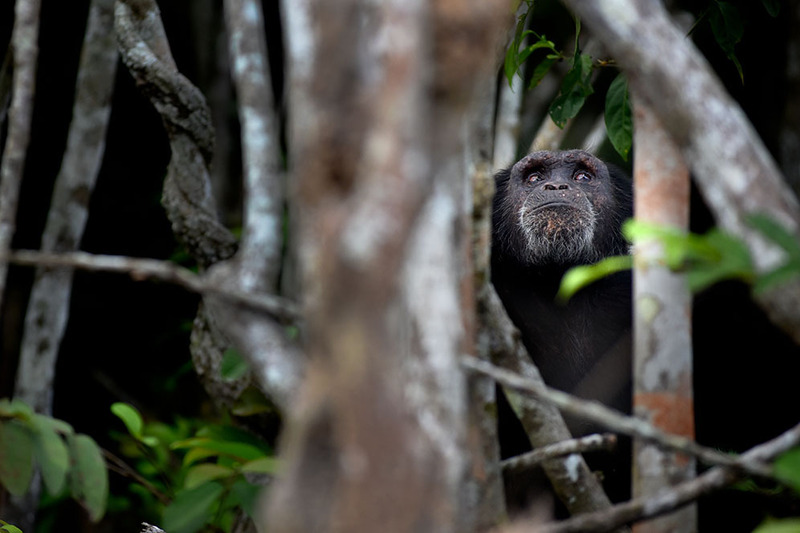 In 1983, Ponso and 19 other chimps were relocated to an island, close to Azagny National Park in Ivory Coast. 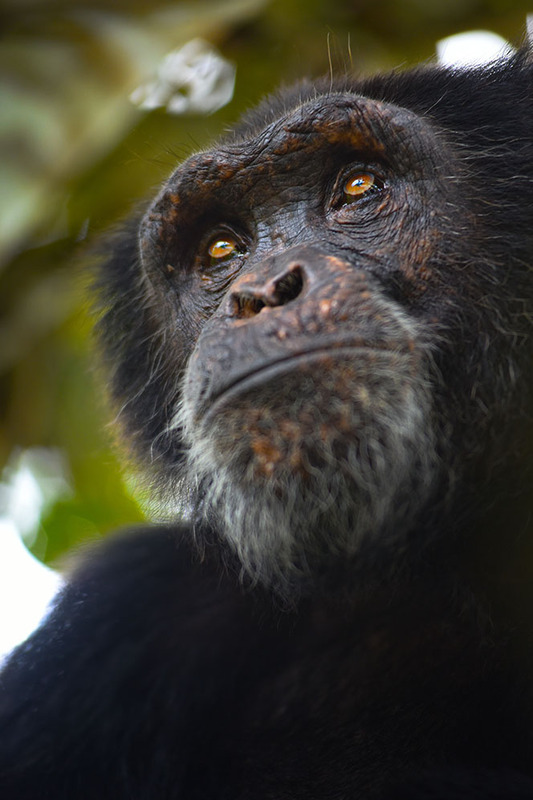 The ultimate goal was to release them but in a few months, 11 had died from lack of care or poaching. 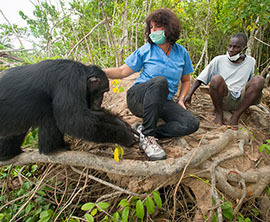 The nine survivors (including Ponso) were relocated to a smaller island. 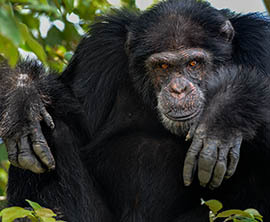 Five chimpanzees died shortly after this from disease or hunger. 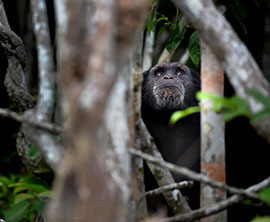 Martin Broomfield was commissioned to photograph Ponso on an island in Grand Lahou. 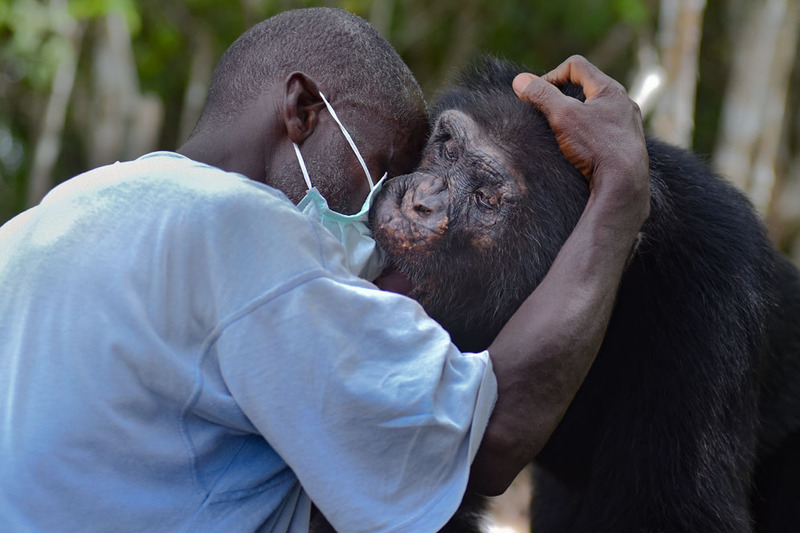 The images were used in newspapers world-wide and on a GoFundMe website, where money for his feeding and re-location was raised in a year. 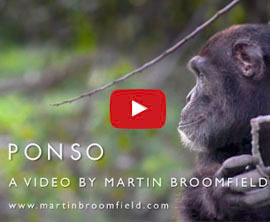 Martin also designed a logo for SOS Ponso and shot a video when Ponso was tested before transportation to another country.